Heavy to prolonged bleeding during the night. 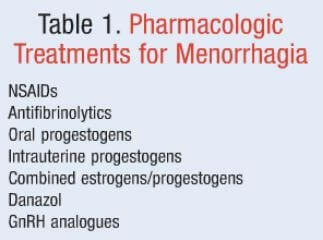 Hormonal imbalance – alteration of the levels of estrogen and progesterone. These is usually noted when the women is also nearing to menopausal stage. Thus, Dysfunction of the ovaries (an alteration with the normal function in the ovaries) occurs. 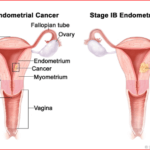 Cancer – uterine cancer is seldom noted but other forms of cancer such as ovaries and cervical can cause menstrual cycle because of an alteration with their physiology. Inherited bleeding disorders – bleeding can be caused by hereditary that had problems in their coagulations. Such conditions are very common with individuals who have Willebrand’s. Uterine Fibroids – these are non-cancerous tumors found in the uterus but this usually alters the normal physiology of the uterus because it can cause blockage and deprivation of proper circulation. Fibroids are usually noted during pregnancy. Uterine Polyps – these are the small, benign growing in lining of the uterus which increases the potential for bleeding. This is als d/t to increase levels in the hormones. Adenomyosis – condition called endometrium is noted, where the lining of the uterus’ muscle is surrounded. 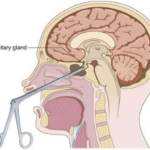 Intrauterine Devices (IUDs) – misplacement or scarring from this contraceptive device. It also affects the hormone levels since it is a birth control device. Infection can also be noted if this is not properly use by women. Pregnancy Complications – abortions or miscarriages that are not properly curettage will be prone to having small clots or debris inside the uterus which causes infection and can lead to bleeding. 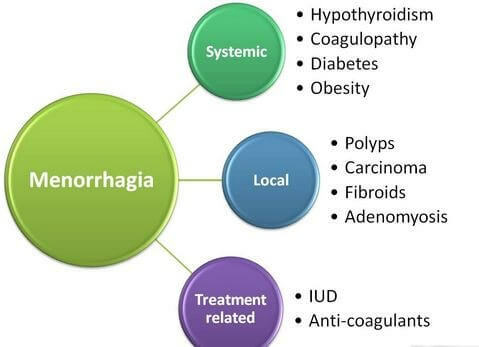 Medications – there are medications that can alter the blood coagulation which can cause bleeding or hemorrhage. These are usually d/t anti-coagulants. Other medical conditions – these are the usually the secondary complications that arises from the first patients diagnosis. Pap Smear Tests – to check if there are cancerous cells or inflammations that causes the bleeding. Endometrial Biopsy – to diagnose if there are muscles or linings that affects the functions of the uterus. It also serves as a test to check if there are tumors or other cell growths. Ultrasound – to see if there are abnormal foreign objects or tumor growth inside the uterine area. Dilation and Curettage (D & C) – this procedure aids in removing the molded blood clots and other left fibroids. This is usually the common the procedure to remove the unborn child when the women had an abortion or miscarriages.